strands, of hope and words forged before a common tongue emerged. Of my first two languages only one still breathes. The other manifests in exile, in blurred images and hummed tunes. its transition from Sanskrit to Persian and Greek, to Latin, to French. Flooding is not mandatory in cultivation, but requires less effort. Rice contains arsenic, yet I crave its polished grains. In my monolingual home we still call it gohan, literally cooked rice, or meal. The kanji character, bei, also means America. Representing a field, it symbolizes abundance, security, and fertility. Three rice plants tied with a rope. Many. Life’s foundation. 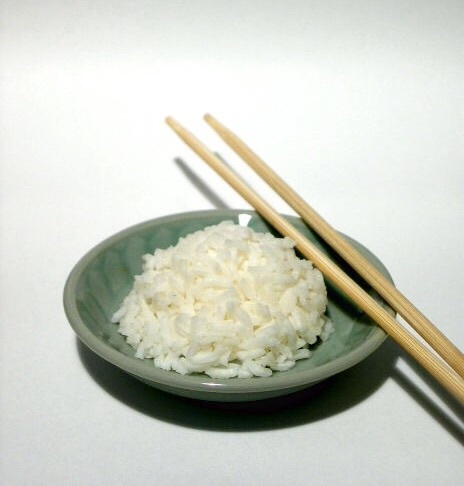 To understand Japan, look to rice. To appreciate breadth, think gohan. Humility exemplified: sake consists of rice, water and mold. The words we shape predicate a communion of aesthetics. 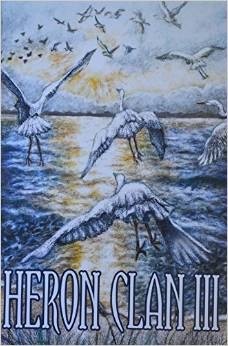 This is one of five of my poems appearing in Heron Clan III, an anthology edited by Edward Lyons and Doug Stuber, and recently published by Katherine James Books, of Chapel Hill, NC. Containing 151 pages of poetry by more than 30 poets. This entry was posted in language, Perception, poem, Poetry, Writing, written language and tagged culture, Japanese, language, perception, poem, poetry, writing by robert okaji. Bookmark the permalink. This is magnificent, both in insight and imagery. This is so lyrical! It is like taking a journey on a river. I continue to be blown away by your ability to weave common words into a majestic fabric greater than the sum of its threads. Bravo for this one, Bob! 美しいです what a beautiful poem. thank you. Thank you, AMS. Much appreciated. We begin to die as we are born, are poisoned as we are nourished, crave embrace as our heart is broken. And sometimes we do things despite knowing the consequences. Indeed, often. We don’t want to believe what we know. Definite wisdom in your words. Thank you. Wonderful depiction of identity via a simple grain. Rice has been, and continues to be, a part of most of my meals. Many years ago, we took my dad (Filipino) to the Spaghetti Factory in Honolulu, and he asked for a side of rice with his pasta dish. We insisted he get that, and they gave him a bowl of risotto. In this homoginizing world, keeping touch with one’s cultural/family lineage is a formidable challenge. What to keep? What to let go of? What to actively adapt and engage? What to passively incorporate? For me your poem captures these dilemmas and possibilities. And I also like eating rice. I’m so pleased you caught that aspect of the poem. In many ways I now participate more in actively retaining a semblance of cultural heritage than I did while growing up. I find that sometimes distance of time and space increases cherishing of traditions which are part of one’s core essence . It’s nice when we can reclaim these parts and have them flourish. Thanks again for the poem! And it’s comforting to find those parts. So many little grains of wisdom. Have read this several times, and will read it several more! One grain at a time! And thank you. Not generous…just truthful my friend! Simplicity of the photo that blossoms into a poem-the simple becomes complex, the complex becomes simple. The more I look at something, the more complex it becomes! I always love poems that ask to be read aloud, as this one does. So delicious the way the words ‘feel’ (I think it’s in the vowels? ), as well as the journey the poem takes one on! Gohan is life. Living in modern USA, I sometimes find myself going without it for days at a time (especially when traveling). But I return to it and am renewed. One of my girlfriends in Japan used to say “meshi -kuuta?” to me when no one was around. She was very sophisticated in public so it was funny to hear her talk about food like a gangster behind closed shouji! LOL! If you don’t mind, I will reblog this poem and connect it to my Sushi post. I truly love your poetry! Food is comfort, food is art, and food is poetry. Please welcome a wonderful poet Robert Okaji. I found his site almost addictive – couldn’t stop reading. You simply have to stop by and take a read! His poem “Rice” inspired me to repeat my post “Making Sushi!” I hope you enjoy both! Thank you for your kind words and for reblogging this, Dolly.